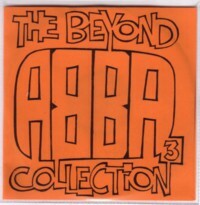 One of my contributions to The Top 2000 Project has been three CD compilations with ABBA related trivia. Jan Hendrik van Oers, who got me into this project, once wrote an article in which he explained why The day before you came is one of the best songs ever made. It is the only ABBA song that I like too. It reminds me of The Matrix, especially of Neo before he was contacted by Morpheus. I am not a fan of the rest of the ABBA repertoire, to say the least. But for this project I bought all their albums (they costed me about 7 euro, for all of them) and listened to all the songs. It didn’t make me feel very excited. For several nights I searched the Internet for ABBA music that would change my mind. I ended up with almost four hours of covers, parodies, demo’s, interviews, rarities and other stuff. I made CD’s of these recordings, and sent them to Jan Hendrik. I think he never listened to the CD’s, and that is a wise decision. I don’t know what it is with ABBA. I can hear that their songs have quality, but I miss the passion. One of the reasons that The day before you came is so good, is probably that it is about being bored to death, and it seems to me no coincidence that ABBA could express this emotion so brilliantly. 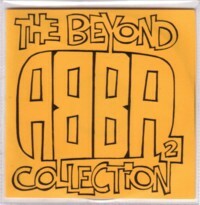 Before ABBA all the four members recorded music in other bands or solo. 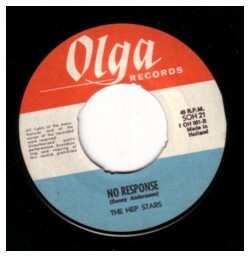 Here is the A-side of a 45 that Benny Andersen wrote for his band The Hep Stars, No response . I am not sure if Bjorn was also in this band. 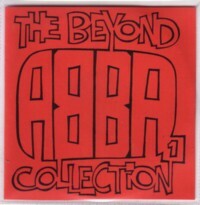 Of all the ABBA related music that I heard, this is one of my few favourites.